A Hooters-style restaurant tries to put itself on the map, literally. But there are strings attached. Survivors of the Aurora, Colorado theater shooting, and their families, face crippling medical bills. CNN's Ed Lavandera received statements from Children's Hospital Colorado and the HealthONE healthcare system, which includes The Medical Center of Aurora and Swedish Medical Center, stating that they plan to eliminate or limit medical costs for those injured in the attack who can't afford treatment. We're trying to clarify how long medical expenses will be covered as many patients may need long-term care. A 2006 video that was just released shows killer whale Kasatka holding an experienced SeaWorld trainer underwater. The orca was trying to send the trainer a message about her calf, according to David Kirby, author of "Death at SeaWorld." Her calf was being held in the back pool while Kasatka was performing in the show. "When Kasatka would hear her calf calling for her from the back pool she would break from control," Kirby explains. "Any intelligent mother wanting to be with her calf and comfort her calf would try to make her distress known to the people she works with." Video shows an experienced trainer pulled underwater, repeatedly, by an orca he had trained for years. The incident happened in 2006 at SeaWorld’s San Diego park. 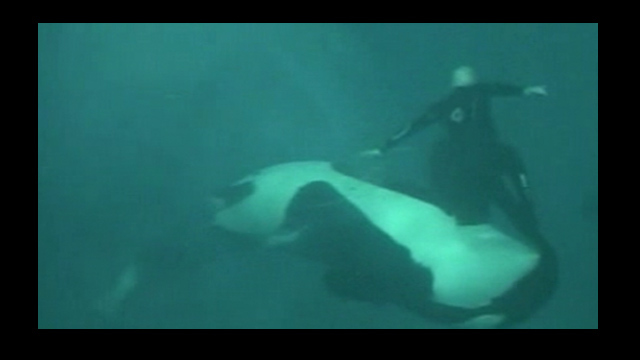 The video was used as key evidence in the investigation of the 2010 death of SeaWorld Orlando trainer Dawn Brancheau. Rebecca Wingo, a 32-year-old mother of two, died in the Aurora, Colorado theater shooting. "We want Rebecca to be remembered for the loving, giving, brilliant soul that she was," her mother Shirley Wygal tells Anderson Cooper. Rebecca had worked in the Air Force for 11 years and was going back to school. "She wanted to work with foster children who are aging out of the system and have no where to go," Wygal says. Her best friend Kate Wodahl describes Rebecca as "vibrant" and says that everybody was drawn to her. "She was always there for anyone that needed her, all the time," Wodahl tells Anderson. Wygal says that Rebecca's daughters who are five and nine don't understand permanence. "Even if the 9-year-old understands that mommy died, she can't imagine that mommy's never coming back," she says. "It's important to remember how somebody lived their life, not just how their life ended," Anderson told Wygal and Wodahl. 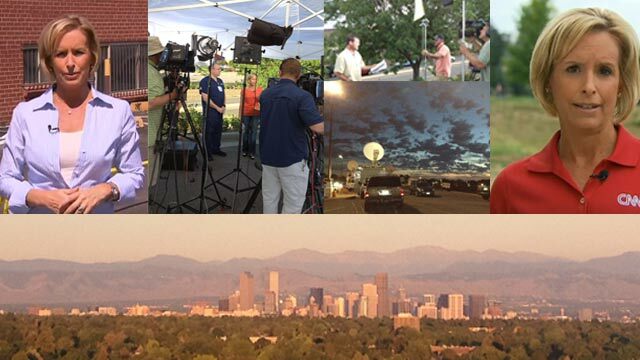 CNN's Randi Kaye reports on the urgent calls for help in theater 9 after the Colorado theater shooting, and the challenges facing first responders. Reporter's Note: Each day I write a letter to President Obama. I have no idea where he puts them. Laugh, and the world laughs with you. Criticize your opponent too much, and people stop liking you. At least it sort of looks that way. Have you seen these latest polls about how the unfavorability ratings are up for both you and Mr. Romney? Or maybe it’s great. Heck, I can’t even pretend to understand how you politicos think anymore. Maybe the calculation goes like this: We’ll say a lot of nasty things about him; he’ll say a lot of nasty things about us; we’ll both see our “likeability” suffer; but if his gets hit harder, we win! Sometimes I imagine that the working idea of D.C. politics is best pictured as a game of chicken in a pair of 1950’s hot rods. Two candidates start speeding at each other, revving engines that are super-fueled with half truths, cheap shots, and just a dash of honesty, and…well, that’s where the analogy falls apart. Because instead of either one swerving before impact, both just ram into each other. The hope seems to be that one side will survive, and the other will not. And while the road will be covered with carnage and any onlookers (read: voters) may find themselves sorely disappointed by the infantile, dangerous behavior, in the long run, we’ll come around. I could be wrong about that, but it certainly looks that way. So you and the governor just keep stepping on the gas for those negative ads. It’s pretty clear that whether we want it as a nation, that’s what you’re both going to give to us anyway. A lot of people are talking about newly released video showing a 5,000 pound killer whale at SeaWorld San Diego pulling a trainer underwater repeatedly, nearly drowning him. The terrifying video was recorded in November 2006 and was used in a court case where the park was accused of putting its workers in danger. Amazingly, the victim in the video, trainer Ken Peters, kept his cool and survived the ordeal. The whale, named Kasatka, grabbed Peters by the ankles, thrashed him around and pulled him to the bottom of the pool. Not once, but repeatedly. When Peters was finally able to free his foot he swam to safety. The video was key evidence in the investigation of the 2010 death of SeaWorld Orlando trainer Dawn Brancheau. Tonight, David Kirby, author of the book "Death at SeaWorld," talks about the safety regulations now in place at the parks. Kirby, an investigative journalist, obtained the video after filing a Freedom of Information request. Join us at 8 and 10 p.m. ET tonight for more on this story. It’s day six for our team in Aurora, Colorado. The days are long and the temperatures are hot…most days reach 100 plus degrees. But how can we complain? We can’t. Twelve people are dead, dozens more injured.. some still fighting to hang on in the very hospitals we drive by each day to and from our live shot locations. I wake up in the morning and I often think of 6-year-old Veronica who lost her life in the theater that night. Her mother, who was shot in the neck, may not have been told yet her little girl is dead. I also think about Caleb Medley. All he ever wanted to be was a stand-up comedian. Now he’s trapped in a medically induced coma in the ICU. He missed the birth of his baby boy Tuesday morning and may not even know he’s now a father. He has brain damage and has already lost an eye. His wife wasn’t shot that night, but no doubt she has emotional scars. Why is it that tragedy breeds gratitude? Covering the story of the Aurora movie theater shootings, like many assignments over the years, puts life in perspective.